Expedia can help you save heaps with an Adana vacation package. With all that extra cash in the bank, you might even like to lock in a few more nights. Our exhaustive database provides more than 400 partner airlines and 321,000 worldwide properties. With such a broad range to select from, you really can't go wrong! If you have to postpone your travel itinerary, we'll honor your cancellation request on almost all bookings with no hidden fees. It can be really nice to just wander the streets when you're in a new place, but sometimes it's a wise move to come up with a plan. Grab your travel program — we've got some fantastic ideas for your forthcoming Adana vacation. Quietly watch the live prayers, mingle with worshipers and appreciate the beautiful Islamic architecture of Grand Mosque. If you want to learn more, why not ask a question or two about local religious traditions? Visitors in this destination have an abundance of choice. Put on your helmet, compete for the fastest lap time and embrace your inner speed demon at Sokun Karting. Still have time to spare? Are you interested in the stories of human history? Get a fascinating insight into past human behavior and societies at Adana Archaeology Museum. 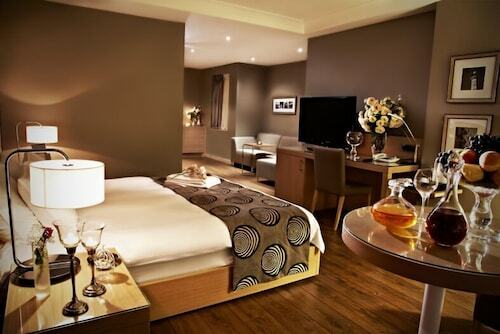 You can expect an excellent range of accommodations when you go to Adana. With no less than 21 properties on offer, it won't be too difficult finding a comfortable place for your next cheap vacation or luxury getaway. 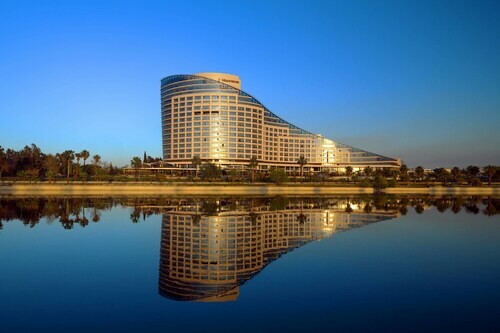 It's not every day you get to go away, so why not spend a night or two in a luxury room at the Sheraton Grand Adana (Haci Sabanci Bulvari, No 7) or the Adana Hilton SA (Sinanpasa Mah Haci Sabanci Bul No:1)? With outstanding service and top-notch amenities, you're sure to feel like a VIP! If you'd prefer to spend your cash on things like exciting adventures and rowdy nights out, why not look into some of our cheaper options? The Ramada Adana (Cinarli Mahallesi, Inonu Cad, No. 40) and the Golden Deluxe Hotel (Resatbey mah 62015 Sk No 3) come recommended. If your planning on arriving by plane, you'll most likely be hitting the runway at Sakirpasa Airport (ADA). Once you've collected your bags and headed outside, the heart of Adana will be just 2 miles (3 km) away. 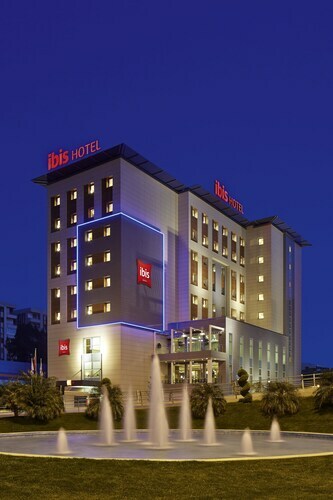 Located in Yüreğir, this luxury hotel is within a 15-minute walk of Mavi Su Aqualand and Merkez Park. Sabanci Central Mosque and Ataturk Scientific & Cultural Museum are also within 1 mi (2 km). Akincilar Station is 16 minutes by foot and Cumhuriyet Station is 22 minutes. 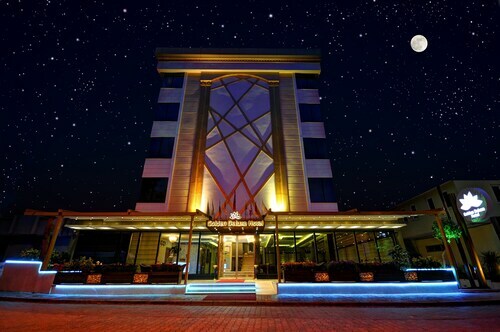 This family-friendly Adana hotel is located on the riverwalk, within a 15-minute walk of Stone Bridge and Grand Mosque. Sabanci Central Mosque is 0.8 mi (1.3 km) away. Cumhuriyet Station is 10 minutes by foot and Akincilar Station is 11 minutes. Located in Seyhan, this luxury hotel is within a 10-minute walk of Adana Ethnography Museum, Adana State Theatre, and Saint Paul Church. Sabanci Central Mosque and Ataturk Scientific & Cultural Museum are also within 15 minutes. Kocavezir Station is 16 minutes by foot and Istiklal Station is 19 minutes. Located in Seyhan, this hotel is within a 15-minute walk of Adana Ethnography Museum, Saint Paul Church, and Adana Archaeology Museum. Adana State Theatre and Ataturk Scientific & Cultural Museum are also within 1 mi (2 km). Kocavezir Station is 12 minutes by foot and Istiklal Station is 16 minutes. 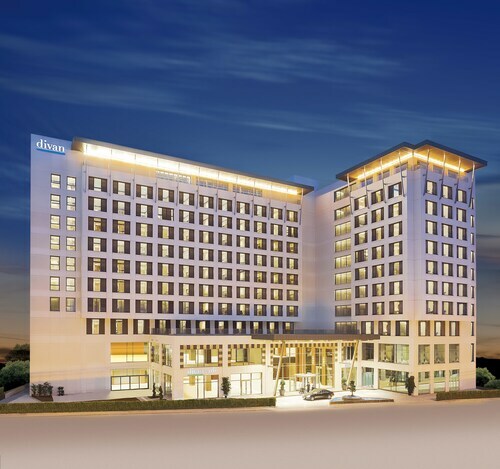 Located in Seyhan, this luxury hotel is within a 10-minute walk of Adana State Theatre, Sabanci Central Mosque, and Ataturk Scientific & Cultural Museum. Adana Ethnography Museum and Saint Paul Church are also within 15 minutes. Kocavezir Station is 19 minutes by foot and Akincilar Station is 20 minutes. Located in Seyhan, this hotel is within a 15-minute walk of Sabanci Central Mosque and Adana State Theatre. Adana Ethnography Museum and Ataturk Scientific & Cultural Museum are also within 1 mi (2 km). Adana Central Station is 16 minutes by foot and Vilayet Station is 23 minutes. 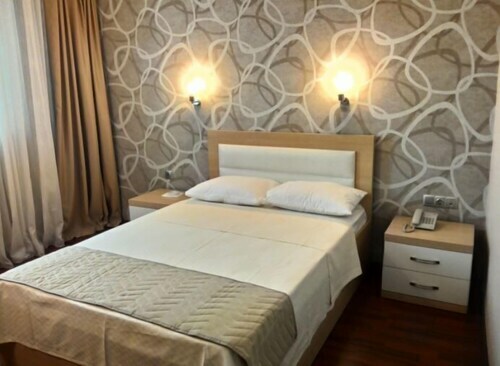 Located in Seyhan, this eco-friendly hotel is within a 10-minute walk of Adana Ethnography Museum and Saint Paul Church. Adana State Theatre and Ataturk Scientific & Cultural Museum are also within 15 minutes. Kocavezir Station is 9 minutes by foot and Istiklal Station is 13 minutes. Located in Seyhan, this hotel is within 3 mi (5 km) of Adana Archaeology Museum, Adana Ethnography Museum, and Saint Paul Church. Adana State Theatre and Oil Mosque are also within 3 mi (5 km).